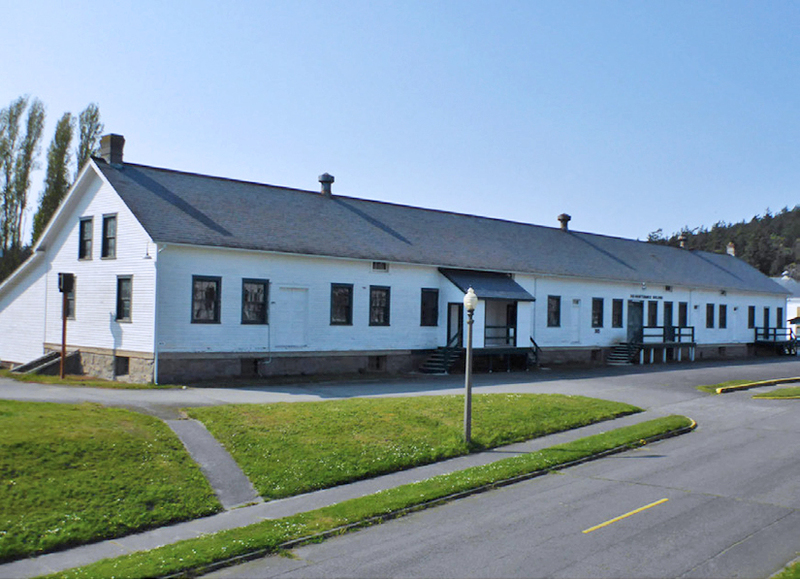 Makers Square, a new artistic hub on the Fort Worden Lifelong Learning Center campus, will consist of nine vacant or underutilized historic structures renovated into a 21st Century showcase for creative community building and placemaking. These nine buildings will be reconfigured as flexible classrooms, galleries, studios and workspaces supporting a variety of programming, while the surrounding landscape will establish visual and physical connections between the artistic spaces, the makers and the public. Built in 1905 as the Quartermaster Storehouse, Building 305 is one of the most significant historic structures at Fort Worden. It will serve as the anchor building of Makers Square. • Makers Square is a $13 million capital redevelopment project focused on the adaptive reuse of nine historic structures. • Phase I includes the renovation of Bldg. 305 and neighboring buildings 308 and 324, which will provide 50% of the total 50,000 sq. ft. of program space in Makers Square. • Bldg. 305 will offer more than ten classrooms, galleries, studios and exhibition spaces. • Modernizing these warehouse buildings will create flexible spaces for new artistic, cultural and educational programs for people of all ages, incomes and abilities. • Fort Worden is home to 13 tenant arts, culture and education organizations that offer more than 1,500 program days each year. • A survey of these organizations and regional stakeholders identified a need for additional, flexible facilities in order to increase capacity for new participants and new programming. • Makers Square will provide new spaces for working artists, tenants and organizations that serve diverse audiences and support collaborative interdisciplinary projects. 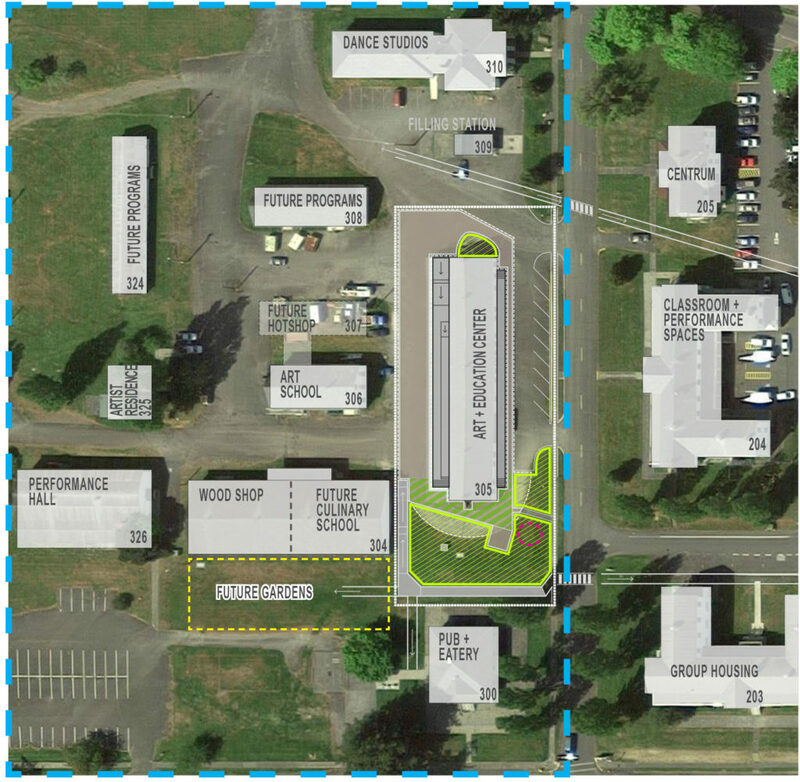 • Makers Square will stimulate, foster and attract artistic programming supportive of the vision of the Fort Worden Lifelong Learning Center. • Fort Worden contributes to the local economy by attracting visitors, generating lodging and sales tax revenues, offering living wage jobs, and housing nonprofit organizations that reinvest in the area. • Annual aggregated revenues of the tenant organizations total more than $15 million. • Makers Square promises to transform Fort Worden into a national destination for residential learning program in arts, culture and education. • Originally a military base, Fort Worden has evolved into an iconic, cherished state park. • Fort Worden is the only Washington State Park to be designated as a National Historic Landmark. It is also listed on the State and National Registers of Historic Places. • Rehabilitating Makers Square in a historically accurate manner is crucial to preserving and honoring the heritage of Fort Worden and ensuring that this treasured site is available for creative uses for another 100 plus years. To subscribe to the Makers Square mailing list, please email mclaflin@fortworden.org.